9 1/4" overall. 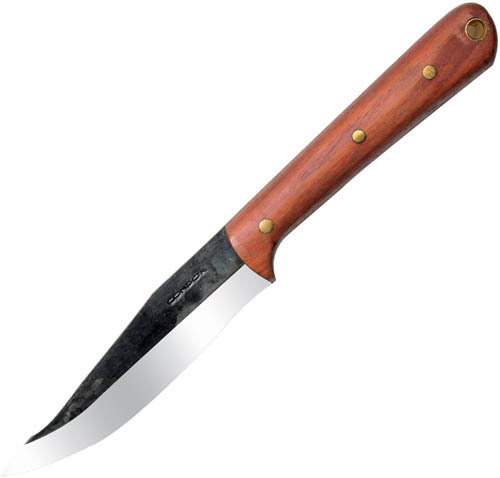 4 1/2" 1075 high carbon steel blade with natural finish. Full tang. Brown hardwood handles. Lanyard hole. Brown leather belt sheath.